Description: Mellerstain House is one of the finest Borders houses and was begun in 1725, being designed by William Adam. For more information, visit the Mellerstain House site. Description: This view shows the main entrance to Mellerstain House. 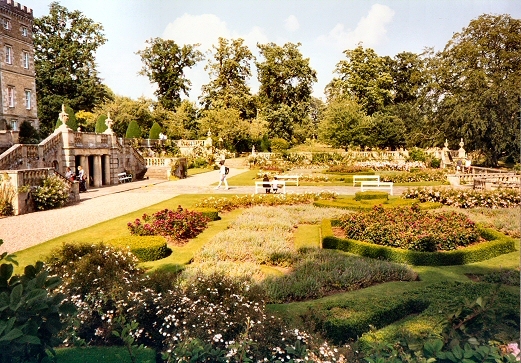 Description: This view shows the formal gardens in front of the house, leading to the extensive grounds and lake.